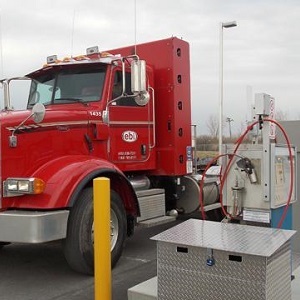 Since November 2013, EBI has been building a network of public compressed natural gas (CNG) refuelling stations over the province of Quebec in Canada. EBI also offers CNG trucks for rental to maximize accessibility and awareness to this alternative fuel and promote the transition to clean energy for transportation. EBI representatives will take the necessary time to evaluate the cost-effectiveness of your projects while remaining sensitive to your needs. Not convinced and looking to try out a vehicle? Take advantage of our compressed natural gas vehicle rental offer, which allows you to fill up at one of our public refueling stations. It will then be possible to purchase light or heavy vehicles. You can easily refuel your vehicles at one of our public stations. Choose EBI for personalized advice and service that is adapted to your needs!